Joint Admission Matriculation Board, JAMB Announces List of Top Seven  UTME Candidates, Respective Scores and States. 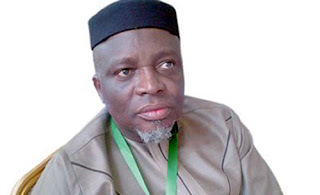 The Joint Admissions and Matriculation Board (JAMB), on Sunday, announced the list of top 7 best candidate in the 2018 Unified Tertiary Matriculation Examination (UTME). According to JAMB Spokesperson over 1.6 million candidates sat for the 2018 UTME examinations in all the 36 states of the federation. Akinyemi Olatunbosun Paul from Ogun State. Ape Terhemba Moses from Benue State. Obi-Obuoha Abiamamela from Rivers State took fifth position with a tie score of 354.